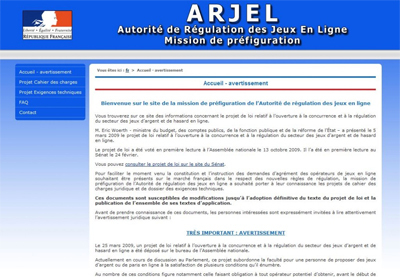 After three years of opening of the French market, online gaming is less dynamic, according to the president of the French Regulatory Authority of Onlie games (ARJEL), Jean-François Vilotte, during an interview for the magazine Challenges. The legal market of online poker and sports betting knows a period of recession, although the bet on the reduction of illegal offers is won. In fact, this regulation authority detected more than 2,000 illegal sites within two years, but the market of legal offer is decreasing compared with the first trimester 2012. According to M.Vilotte, the market knew a decrease of 1% in the first trimester 2013 compared with the same period of 2012. The market of sport betting and horse race betting knew a remarkable evolution whereas the market of poker accused a decrease of 13%. To face this situation and to boost the activity of online poker room, which once was considered as a real novelty, the president of ARJEL mentioned two topics which should be settled. Certainly, the global economic situation is the main cause of the recession of the online poker market, but the breach can be limited by introducing more variants of poker in rooms, and also by setting a single market, at first with neighboring countries, like Great Britain and Italia, which besides, will be followed by the opening of liquidity at the international level.